Hey everyone, I hope you’re all enjoying the long weekend. I’ve been very under the weather so have spent most of the past few days in my bed, and therefore didn’t get much use out of my lipstick shades for the past two days. Because of that, my posts for the past two days have been a little delayed coming to you so sincere apologies. I get so worried when I don’t post the day of – it’s only happened a handful of times, and only when I physically can’t write a blog post due to other things happening. So I really hope you all understand and can forgive my delay. I suppose the most important thing is, I still tried out and wore a lippy, I took my photographs and I stayed true to my word. 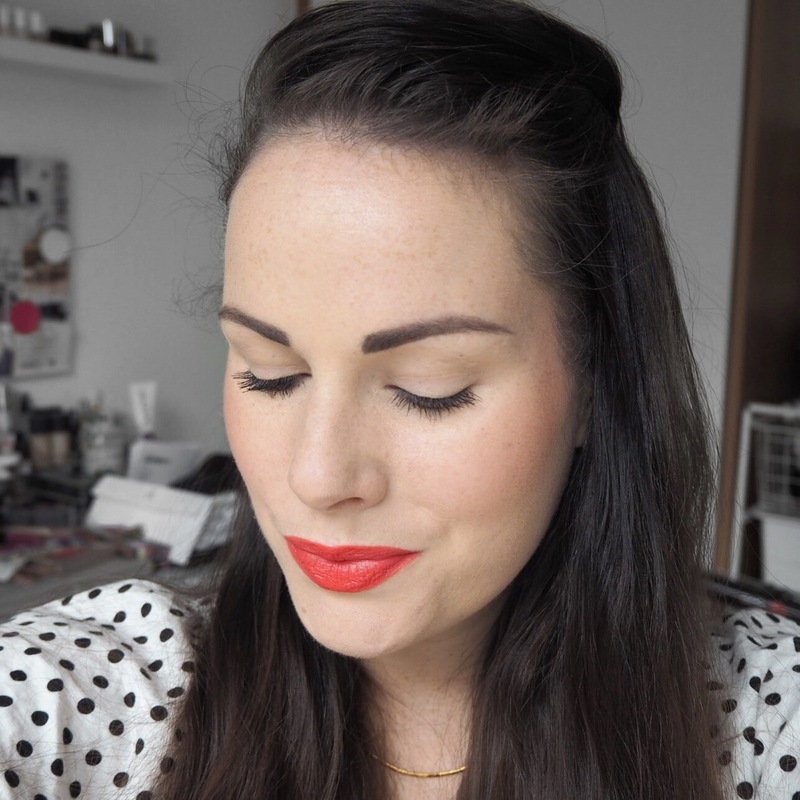 What’s more, I loved the lipstick shade from Day 154 so much that I was raging I wore it on a day where apart from a quick outing with my mum, I spent the majority of the day in bed! 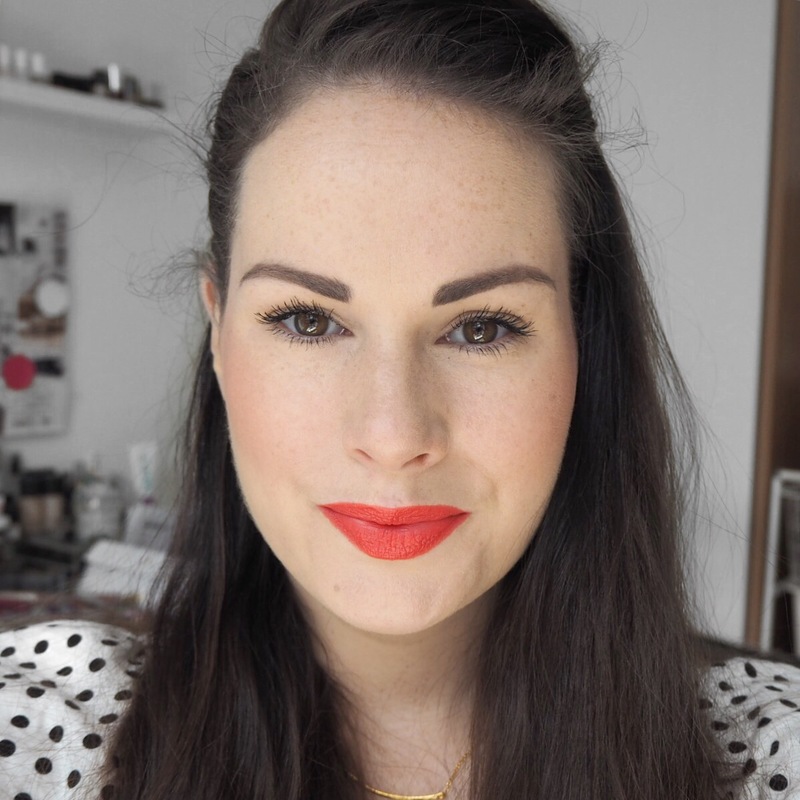 As you can see from the photos, it’s a gorgeous salmon toned coral lip from Rimmel’s Kate Moss Lasting Finish range. 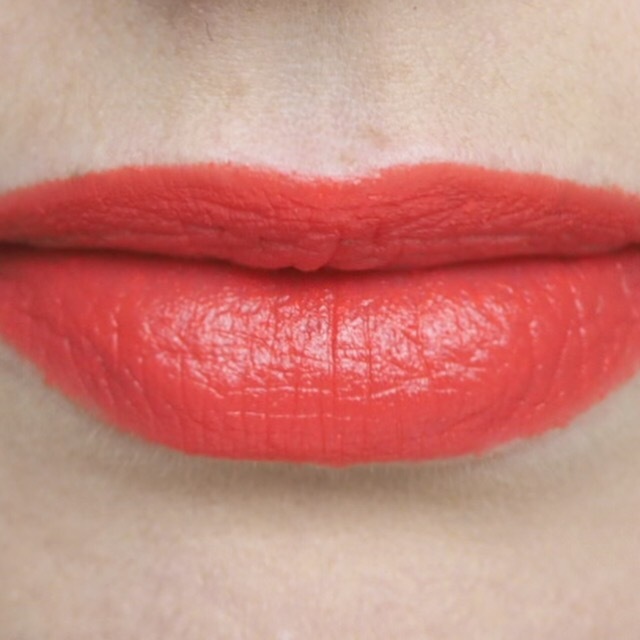 The finish is a soft comfort matte, and the pigment as with most Rimmel lipsticks, is just gorgeous. 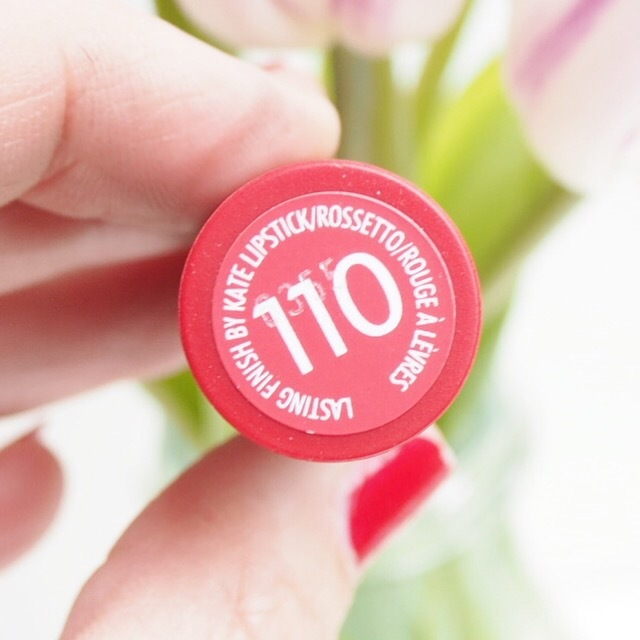 The consistency is creamy and not too thick, and the velvety matte finish means it’s very easy to blend too. 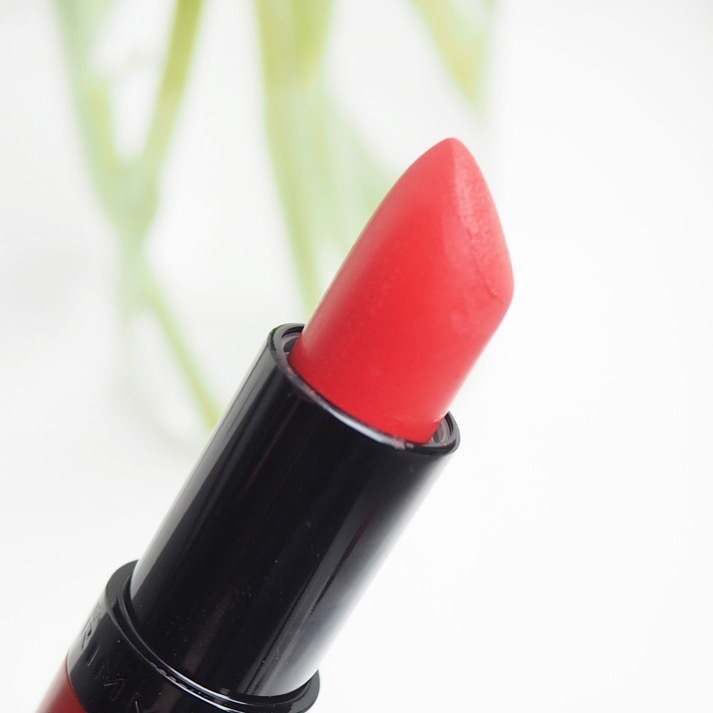 But mostly, the lasting power is exactly as you expect it to be; long lasting without drying. So it definitely lives up to the claims it makes. Given that my lips are severely dehydrated at the moment, I was very impressed with both the holding power and the fact that it didn’t make them feel dryer than they already were. 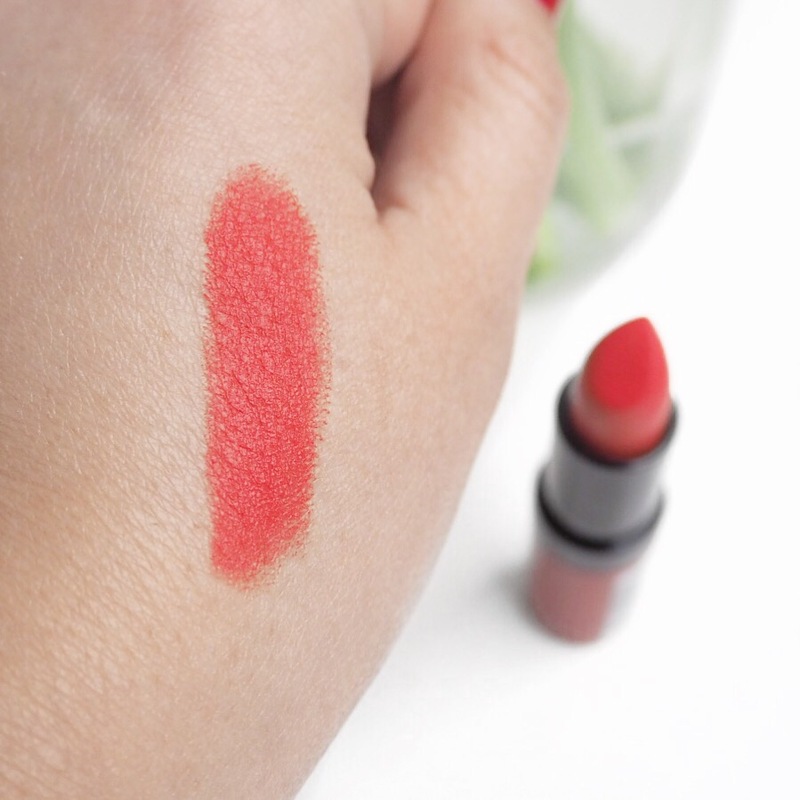 This shade for me, is the perfect Summer sunny day shade, and definitely worth the investment if you’re in the market for a new coral lip.